Say you have created a lot of tables and want to mark out some of them or rename. 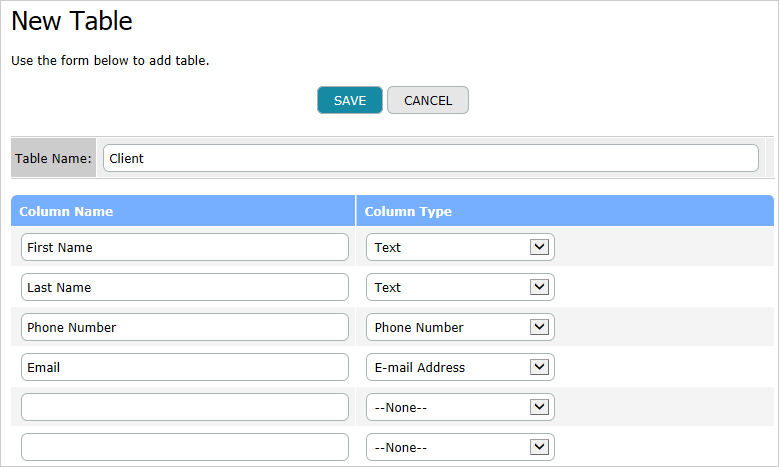 From the setup menu select Tables > Customize existing tables. Choose the necessary table from the list; click Edit in a corresponding row. 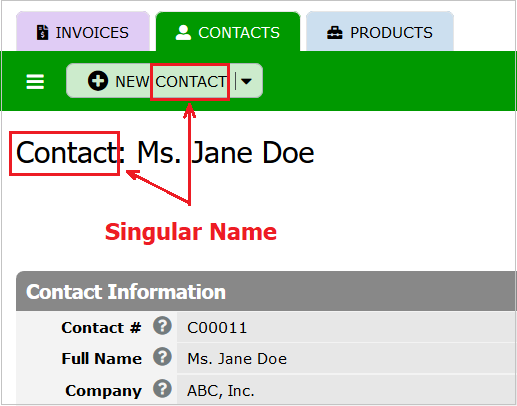 A table name entered in the Singular Name field is displayed in the Setup Mode as a headline, when you customize table objects like views, columns, documents etc. In the User Mode the Singular Name value is displayed on a record form as a header and in the New Record adding dropdown. A table name entered in the Plural Name field is shown as a tab name and in the list of tables displayed in the Setup Mode left menu. In the User Mode the Plural Name value is displayed as a tab name. Moreover, by default the Name Column is chosen in the Record Picker settings. If in the default record picker the Custom Columns are specified, the values of these columns are displayed in a form title and in the recycle bin. Click on the Color icon, if you want to change a predefined table tab color to another one. Select a color on the palette opened in the new window. As a result, a table header and headers of all Table views created in this table will be colored. Please note, that the Tab colorization is applied to the User Mode only. The Notes field can hold any developer’s comments that need to be kept for this table. The comments will be visible in the Setup mode only. When Custom Columns are selected, their values are displayed as a record title on the form and in the recycle bin listing. Furthermore, the Default Record Picker options define how table records look and act in reference columns created in the other tables. You can specify what columns will be displayed as search results, just activate the Allow Search checkbox in the Search Options. When it is checked, the Custom Сolumns option is available. Using this option you can add columns, which data will be displayed as table search results. In case you want to exclude a table from search results, disable the Allow Search checkbox and none search results will be displayed in this table. TeamDesk allows coloring for particular records or areas. The Row Colorization option is included into Table Properties and into View options. If you specify a row colorization formula in Table Properties, it will be applied to all views created in this table. In case you want to apply colorization in a certain view, just edit view settings and add formulas to the row colorization field. Mark the Row Colorization Formula check box if you want to apply a special colorization formula to certain rows in a table. The system will expand the Row Colorization section. Here you can insert colors, variables, functions and operators to the formula. For example, to highlight green all records that were added by the user sam.powter@gmail.com, insert the formula: If(UserToEmail([Created By]) = "sam.powter@gmail.com", "#54C254"). Table properties include the User Interface section. It controls user interface appearance. If a table should be hidden for users with a certain role, use the Hide Tab checkbox. As a result a tab will not be displayed in the list at the top of the page. Additionally, visibility of New, Edit and Add Similar buttons is controlled there. The ability to hide New and Edit buttons can be used when you want to prevent users from creating/editing records via default interface and intend to do it with the help of workflow actions or custom buttons. Also there is the ability to hide Print/Export/Send buttons on views. While it can’t protect data from stealing, hiding these buttons may help to complicate it. 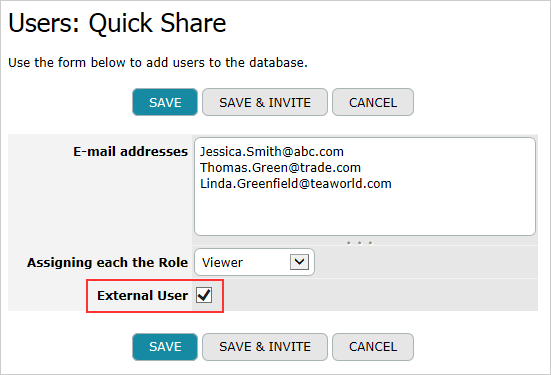 You may also configure user interface settings from a particular role screen – just click on a role name link. In that case you’ll be able to configure role’s user interface settings for all tables in one click.